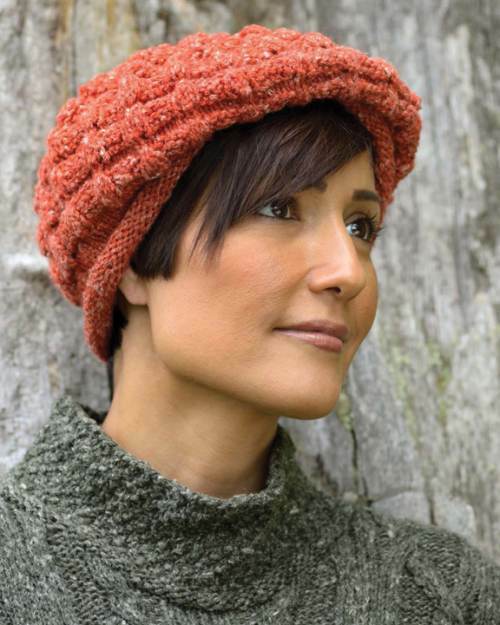 Check out some of the garments & designs found in Misty Wool - Sylvie Hat. A pretty cap that can be worn in different ways to complement different facial shapes and dress styles. It is knitted in the round so there is no finishing and it is quick and fun knitting.